Baan Heart Thai - Chang Moi, Chiang Mai, Thailand - Great discounted rates! 9.6 out of 10 based on 117 verified user reviews via Agoda. Baan Heart Thai is a popular choice amongst travelers in Chiang Mai, whether exploring or just passing through. The property features a wide range of facilities to make your stay a pleasant experience. Free Wi-Fi in all rooms, daily housekeeping, Wi-Fi in public areas, coffee shop, library are there for guest's enjoyment. Guestrooms are designed to provide an optimal level of comfort with welcoming decor and some offering convenient amenities like linens, smoke detector, internet access ?ÛÒ wireless (complimentary), air conditioning, shared bathroom. The property offers various recreational opportunities. 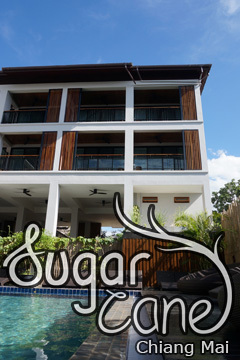 Baan Heart Thai is an excellent choice from which to explore Chiang Mai or to simply relax and rejuvenate. Baan Heart Thai - Chiang Mai classifies itself as a 2 star hotel.